With his hand still in plaster, Paul Sturrock missed his fourth game in a row as United stuck with the same line-up for the third consecutive game. United went into the match on a poor run having recorded only one win in the last eight games. Their lack of confidence was evident early on and the defensive problems were exposed in the 11th minute with both Paul Hegarty and Dave Narey hesitating with a long clearance from Billy Thomson. Jimmy Bone slipped the ball to St Mirren's new signing John McEachran whose shot came off Derek Murray and the alert Jimmy Bone turned home the rebound. 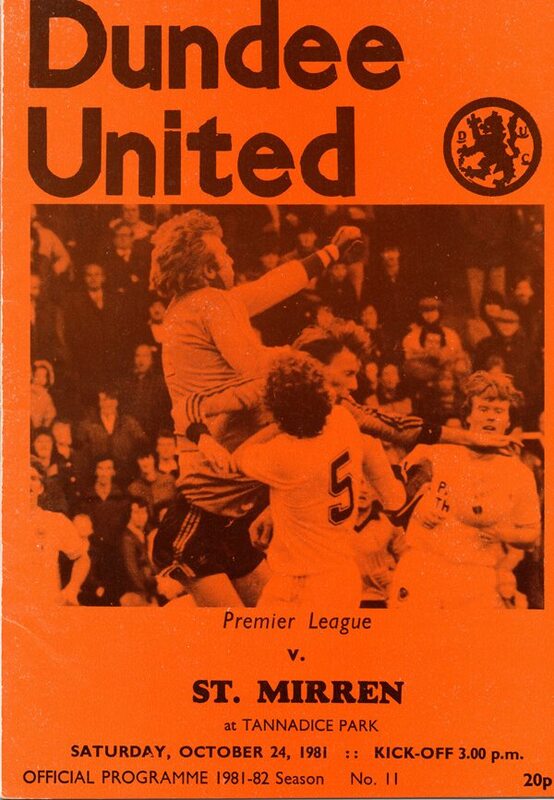 United should have equalised a minute later when Ralph Milne broke through, but as Thomson came out he shot wide. 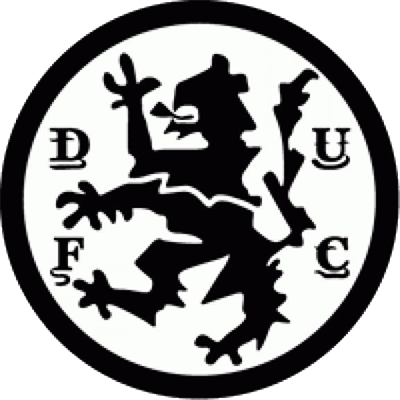 John McCormack had a shot saved by Hamish McAlpine at the second attempt and the keeper then had to tip over a forty yard from Billy Abercromby as United struggled to keep the deficit to just the one goal. The pressure finally told on United in the 25th minute when Frank Kopel could only tamely head a ball to Ian Scanlon, who crossed for Jimmy Bone to meet first time with his left foot, giving McAlpine no chance. 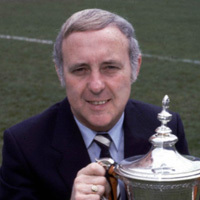 Jim McLean made changes - including replacing Eamonn Bannon before half time - but the lacklustre performance continued into the second half with United not looking like pulling their way back in to this match. Possibly a tired performance after their midweek efforts in Germany, the current run of bad form and lack of goals added to the managers and supporters frustrations. As most of you realise by now, I have seldom been one for making excuses concerning our side's performances in the past, preferring to accept things as they have occurred rather than sitting on the fence. in fact, some people may say i have possibly gone over the score in criticisms and actions taken in the past concerning the side. Therefore, in case any of you think that those reports coming back from Germany in midweek were rather sympathetic rather than realistic, allow me to confirm that the result against Borussia Munchengladbach was a travesty of justice from the point of view of events. The fact is that we lost a game by 2-0 which frankly we could have won by an even bigger margin, and in so doing, have provided ourselves and Scotland with a major boost. As it was, our display against the Germans, following on fine displays away from home in Europe in recent years, should still provide our lads with a morale-boosting effect which could stand the side in good stead for future occasions. The players involved at Munchengladbach on Tuesday did everything that was asked of them, apart of course from the losses of both goals which were in their own way gifted to the Germans. But the workrate and attitude was spot on the mark throughout, making up for the obvious disappointment to all concerned that Paul Sturrock was an absentee. Therefore, my message is clear. We may be a couple of goals behind and therefore disappointed - but there is no way that this UEFA Cup tie is finished. 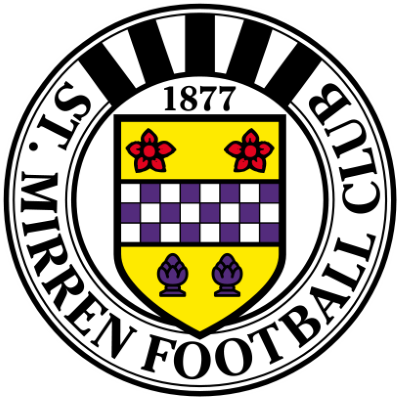 It's back to the Premier League again this afternoon, when, in my view, only another top performance will do against a St Mirren side I always rate amongst the leaders in the country for ability.